If you spent 2018 cracking up at Alexa’s response to “Where can I hide a body?” (hint: it’s a telltale one! ), here’s some good news for you: in the world of AI, 2019 will be no less exciting. It sure is difficult for brands to keep their fingers on the pulse of consumers’ constantly changing preferences. Thankfully, researchers and marketers have social media to tap into! From Facebook to LinkedIn, social media data clues us in on upcoming trends and the changing needs of our target market. While obtaining social media data is extremely doable, it’s not half as easy to mine for significant insights and take action on them (without first getting lost in the sea of data, of course). Then, there is also the issue of time: how can we do all of this and ensure that we’re always a step ahead of our competitors? Thankfully, AI is helping researchers to more strategically sort through this data and pinpoint the trends and insights worth noting - at a faster rate than ever. The confluence of data analytics, AI and social media affords us the ability to deeply and rapidly analyze a wide breadth and volume of consumer opinions for trends and patterns, enabling comprehensive market research. Thinking of what AI can do for your brand? Levy Restaurants in Chicago is a great example. As a restaurant company offering premium-quality vending and food services to major entertainment and sports venues, Levy’s wanted to appeal to the changing tastes of their target customers, the city’s sports fans. When an AI-powered analysis of social media interactions found a strong preference for fusion cuisine, Levy’s modified its restaurant concepts to meet this demand in order to gear up for the upcoming seasons. Within a mere half a season, the same locations exceeded the revenue made in the entire previous year. Is your brand finding a time-sensitive and resource-efficient way to understand consumers? AI’s got your back. 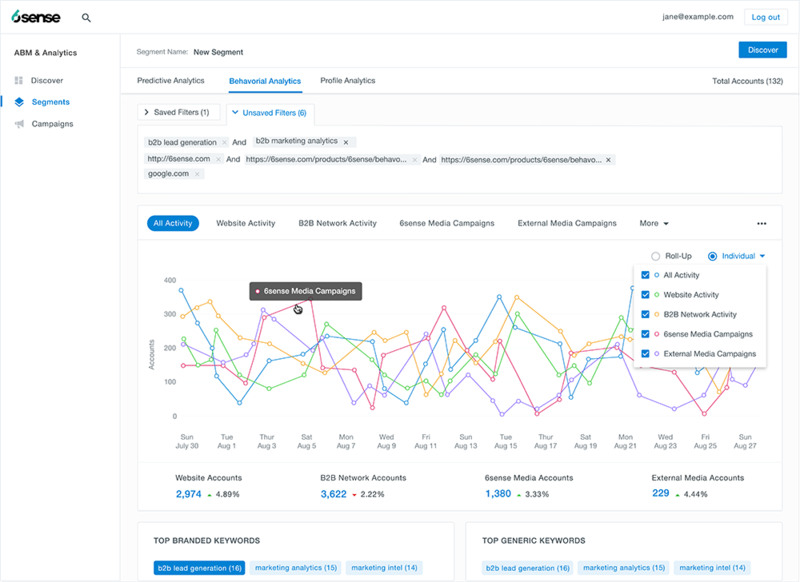 For a start, try Brandwatch and Netbase, two really awesome tools for discovering what people say about your brand, and finding trends in this data on social media! 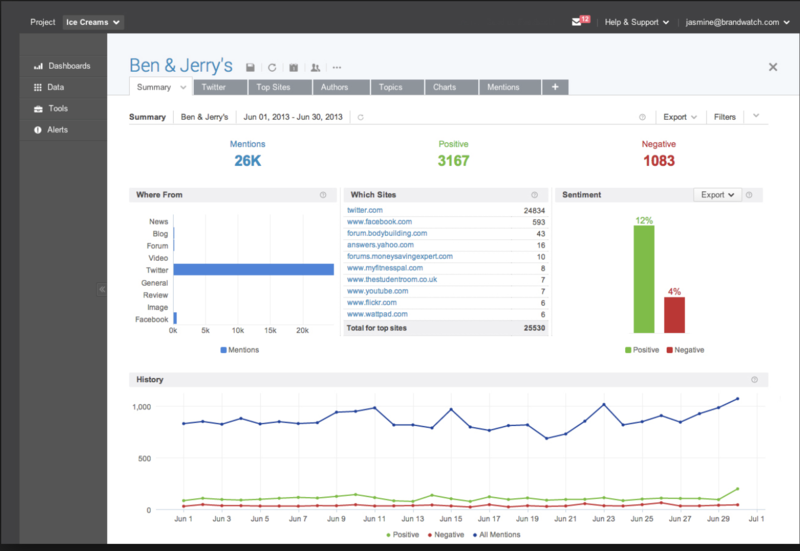 Brandwatch enables you to analyze social conversations and use impactful visualizations to represent your data. 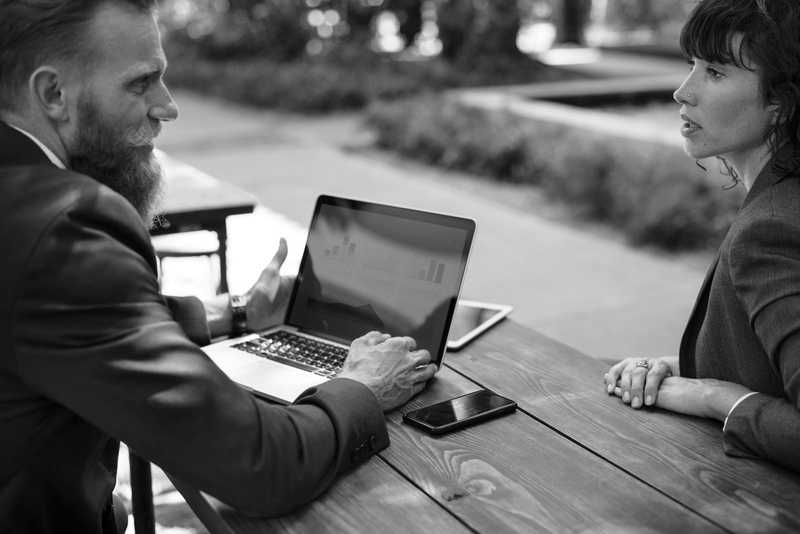 In a world where consumer-facing businesses are in constant flux, relying on an experienced salesperson’s deep expertise about customers’ preferences has become but a quaint notion of the past. Increasingly, sophisticated information technology and advanced analytics have become the key to effective market research and unearthing consumer insights. These insights are then used to craft personalized, relevant and appropriately targeted offers, all a step ahead of your customers (and competitors). With the power of AI-driven predictive analytics, South Africa-based Xineoh has developed a platform that matches customers to the right products and services. The platform achieves this by using a combination of machine learning and AI to find patterns in historical consumer data, and then applying the same patterns to analyze current data. The result is the ability to precisely predict consumer behavior and offer curated customer recommendations—very, very quickly. Platforms such as Xineoh leverage AI to acquire consumer insights, enabling companies to predict products that consumers would buy. This is sophisticated technology that tech giants Amazon and Netflix have already latched on to; by cross-selling products between the two platforms and utilizing behavioral similarities to offer personalized customer recommendations. Knowing what customers want before they do offers companies incredible competitive advantages - the ability to minimize unnecessary inventory, maximize business efficiency and out-predict their competition. Thinking that your brand, too, might want to dip a toe or two into predictive analytics? Take a shot at Maroon.ai and 6sense, useful tools that help predict prospect behavior! Using AI predictive abilities, 6sense combines intent signals across channels to understand demand generation. It’s all about understanding the consumer, and what better way is there to gain consumer insights than by personally connecting with consumers? Oh, we know the tools - focus groups, surveys, in-product messaging, and the works. However, even with these approaches, it’s extremely challenging to engage with consumers at a deeper level. For one, it’s difficult to get a user to part with their money to buy a brand’s product, let alone get them to commit a significant chunk of time to giving the brand proper feedback. Surveys are easy to implement, but they only offer one-way communication and a poor customer experience—and it’s either that, or a focus group that takes extensive time and resources for a brand to implement. Plus, at the end of the day, with all a brand’s blood, sweat and tears spent to craft the perfect questions, how can the brand be sure that participants gave honest and thoughtful answers? What a bummer! Evidently, there is a real need to make engagement between consumers and brands work—in a more efficient, time-saving, and effective manner—to reveal valuable consumer insights. And with AI, this is now possible. Take focus groups, for example. We have entered an era that is allowing brands to have meaningful engagements and conversations with consumers on a much larger scale than ever before. Online platforms that utilize AI to analyze and understand text in real-time and on a mass scale have emerged as a new methodology for understanding consumers. Remesh is an example of an AI-driven tool that can help liven up online focus groups by enabling participants to chat with a real-life moderator in real-time. Participants are also able to see what others are saying through a voting system, where they are asked to vote amongst different answers for the one they agree with most. New ideas surface in this thought-provoking exercise, where participants are inspired by others’ thoughts and simultaneously motivated to provide well thought-out answers. In this way, software like Remesh can encourage the collection of responses that are honest, thoughtful and accurate. Coupled with other options including AceBot and Survtapp, there are a range of exciting AI tools that can help brands upgrade the way they engage with consumers! As new data sources surface and the technology for analyzing them evolves, knowing the best cutting-edge tools to gain consumer insights becomes an invaluable piece of knowledge. Artificial intelligence for consumer insights offers a significant competitive advantage — and brands who leverage on its capabilities are poised to stay ahead of the game.